Levels of Deception written by Susan Schreyer is book 2 in the Thea Campbell Mystery Series. Once again we get to hang out with some of our favorite characters — Thea Campbell, our favorite accountant super sleuth; Paul Hudson, the resident hunky paleontologist and Thea’s love interest; Juliet, Thea’s prevaricating and spunky younger sister; Aunt Vi, the practical cooking aunt who believes Thea’s horse is psychic, and of course, Blackie, the intuitive Hanoverian gelding. The story opens with Thea enjoying the blush of a new-ish romance. The object of her affections, Dr. Paul Hudson, is away in Montana on a field procedures class dig site. Thea is still in Washington in Snohomish when she gets an email from him asking for her help. Fossils have been stolen from his dig site and the site has been pretty much destroyed. In order to reformat the start of his class, he needs some pictures of fossils taken and emailed to him pronto. Things should be a piece of cake, but Thea hits a bit of a snag when some of the fossils on her list are mysteriously missing. Determined though she is to complete her task, the fossils are no where to be found, and when she goes back to Seattle and the Burke Museum for another foray, she arrives to discover that a dead body has been found in the archives building — the very place she needed to go. To make matters worse, Paul is under suspicion for the murder. Yet try as Thea might not to get involved, she gets drawn into the mystery, and it becomes clear to her that if she doesn’t do something, things are going to go very badly for Paul. She devises a plan to help the man she loves, feeling that it is something she just simply must do. Only there is a problem with her plan, and that problem is Paul. He is determined to make sure she doesn’t put herself in danger again by playing detective, much to Thea’s dismay. And other than the dangers to her life, he proves to be the biggest obstacle in her bid to save him. When circumstances make it necessary for her to leave Washington to join Paul in Montana at the dig site, things aren’t at all peachy. And just when you think Thea should be safe, we realize that danger has dogged her heels. Amidst the flurry of visiting parents and a marriage to be planned, a mystery is a foot, and you just know that Thea will be unable to resist getting to the bottom of things. Despite the peril and jeopardy she faces, and the fact that her relationship could be destroyed as well, Thea will still do what she must to protect the man she loves. This romantic whodunnit is filled with humor, witty dialogue, a dash of the paranormal, surprises, lessons in paleontology and riding, and of course a bit of horse talk and practicality that Susan Schreyer fans have come to love. There’s some shocking drama, family secrets and arguments that will make your head reel as much from astonishment as from hilarity. I laughed out loud more than a few times and found myself in a jaw dropping state a time or two and exclaiming OMG! Yet there are also moments of tenderness and familial loyalty that will make your eyes smart with emotion. The problems that Thea and Paul face will have you wondering if their relationship is strong enough to remain intact. It will also have you wondering about the age old question about trust and relationships. Levels of Deception is a worthy follow up to Schreyer’s first novel and will leave you feeling eager to discover what is next on the horizon for super sleuth Thea Campbell. 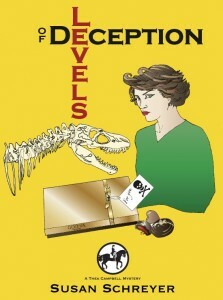 Levels of Deception is available for download at Smashbooks. Visit Susan Schreyer Mysteries at http://susanschreyer.com, Things I Learned From My Horse – blog http://thingsilearnedfrommyhorse.blogspot.com, and Writing Horses – blog http://writinghorses.blogspot.com. You can also follow her on Twitter @SusanSchreyer. Books, good reads, mystery, Paranormal, romance. Bookmark. I wonder, with all the events taking place, if this story is a rainy day read, or a "cant put it down" one? It took a dry topic like digging and made it into an intriguing mystery, I wonder how it ends? Haha lots of questions, but now I am very curious! Is this on Kindle yet? I wonder, with all the events taking place, if this story is a rainy day read, or a “cant put it down” one? It took a dry topic like digging and made it into an intriguing mystery, I wonder how it ends? Haha lots of questions, but now I am very curious! Is this on Kindle yet? 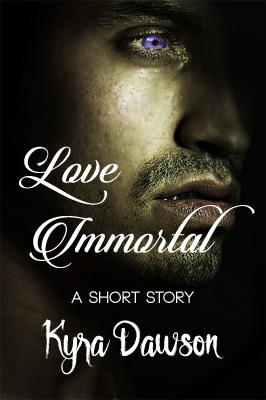 Kyra, a great review that makes me excited to dig into book 2. I loved Susan's first novel in the series–can't wait to read the second. Thanks for the review! Yeah, I laughed out loud on this one a number of times. Thea sounds like the kind of brave sleuth I'd want on my side if I was in a pinch for sure!